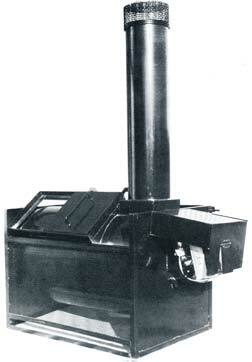 The Destructor Junior Incinerator is the small incinerator designed with the Poultry Grower in mind! Designed for poultry operations, Destructor Junior requires only a 5' x 5' area for operation to handle 80 to 100 pounds per hour. 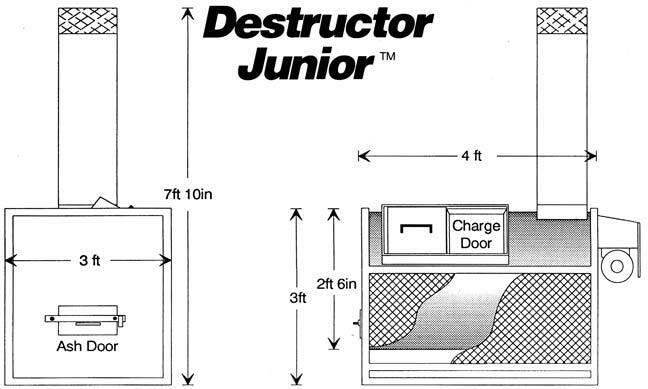 A weatherproof electrical control box means Destructor Junior can be installed indoors or out. Destructor Junior has one re-adjustable gas burner with a 60-minute timer. Natural or propane fuel may be used. In testing, it is estimated that it uses 1 to 1-1/2 gallons of propane per hour. Natural Gas: 5" to 8" W.C. gas pressure/ Minimum 1-1/2" gas pipe.